Orange and pan-African banking group Ecobank have rolled out a service that will enable Orange Money subscribers who also have bank accounts with Ecobank to transfer money between their respective accounts. The service has already been launched in Mali and will be rolled-out in several other African countries, including Cameroon, Côte d’Ivoire, Guinea Conakry, Niger, Senegal and the Democratic Republic of the Congo, during the first half of 2015. The partnership aims to facilitate money transfers for both Ecobank and Orange customers by offering them the possibility of topping up their Orange Money e-wallet from their bank account, and vice versa. Customers can use their mobile phones to securely transfer money at any time without the need to go to a distribution point or to have physical cash. The two companies have launched the service following the signature of a memorandum of understanding. The partnership comes as part of a joint strategy to enhance mobile financial services and to increase access to banking services across Africa. In sub-Saharan Africa, where less than 24 percent of the population has a bank account and over 60 percent have a mobile phone, Orange Money offers easy-to-use mobile financial services that allow transactions to be made remotely and securely, avoiding the need to carry money around. With Orange Money, customers can transfer money from their mobile phones to any other customer in the country and, in some countries, internationally. They can also pay their water, electricity and television bills and top up their telephone airtime remotely. Depending on the country, they may also benefit from savings and insurance solutions. This type of partnership with banks allows a customer to link a bank account with his or her Orange Money account. Notably, it is a service that facilitates exchanges between persons with bank accounts and those without. Ecobank customers can also view bank account balance and obtain mini-statements by SMS via the service. 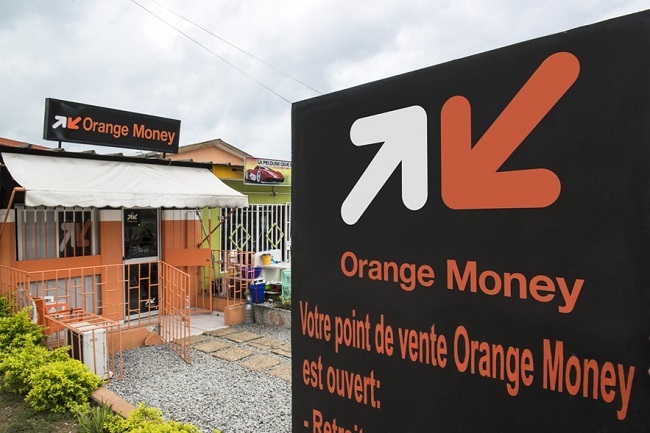 With more than 12 million customers and 4.5 billion euros exchanged in 13 countries in 2014, Orange Money has delivered considerable success.